Stay in the heart of Tallahassee in the All Saints neighborhood. Walk to football games, FSU campus, the state capital and many charming restaurants. 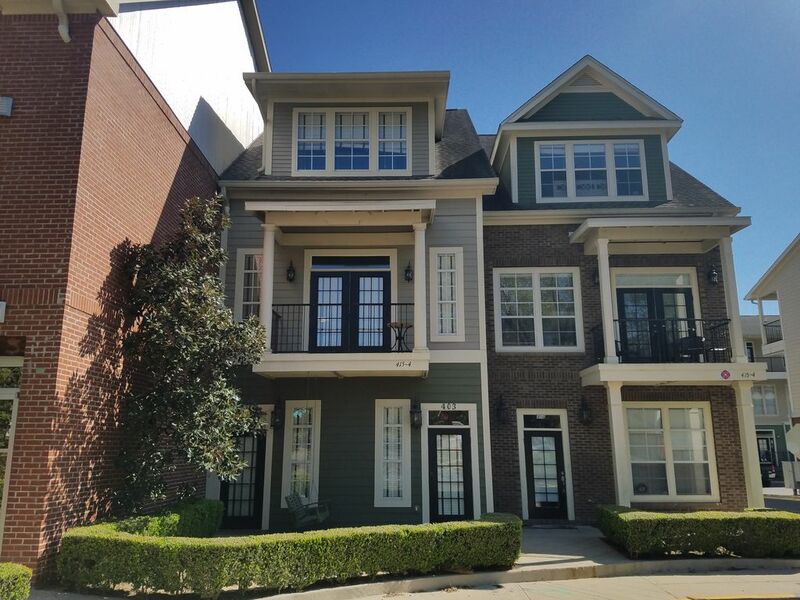 This gorgeous 3 story condo is fully furnished with 3 bedrooms and 3 1/2 baths. First floor contains a 2 car garage and a guest bedroom, second floor has a gorgeous kitchen and dining room that overlook the large family room with plenty of room to relax. Master bedroom, third bedroom and laundry room are on the third floor. Parking is a breeze with a 2 car garage! Minimum 2 night stay, $90 cleaning fee. No pets or smoking please. We are only accepting reservations no more than 6 months in advance. Please note we require a photo id emailed or texted to us of the party making the reservation that matches the credit card. We require the $59 damage protection plan. Thank you. PLACE WAS OUTSTANDING AND LOCATION WAS PERFECT FOR FOOTBALL WEEKEND. SHEILA WAS A GRACIOUS HOST AND ANSWERED ALL MY QUESTIONS FAST. THE GARAGE IS A 2 CAR GARAGE BUT ONLY IF YOU HAVE SMALL CARS. I LET MY CUSTOMER PARK IN GARAGE AND I OPTED FOR THE COURTYARD. SHEILA WARNED ME THIS WAS A TOW ZONE AND SHE WAS CORRECT. I WOKE UP ON SUNDAY TO FIND MY CAR HAD BEEN TOWED. DO NOT PARK IN COURTYARD, $150 MISTAKE ON MY PART. WOULD DEF. STAY HERE AGAIN! Could not be happier with this rental. FSU graduation was literally a walk in the park. Crossed a park to go to the stadium. Very comfortable. Very well equipped. Beautifully decorated. Accessible owner. Clean, comfortable beds. Tv in every room. MUCH better than staying in a hotel.